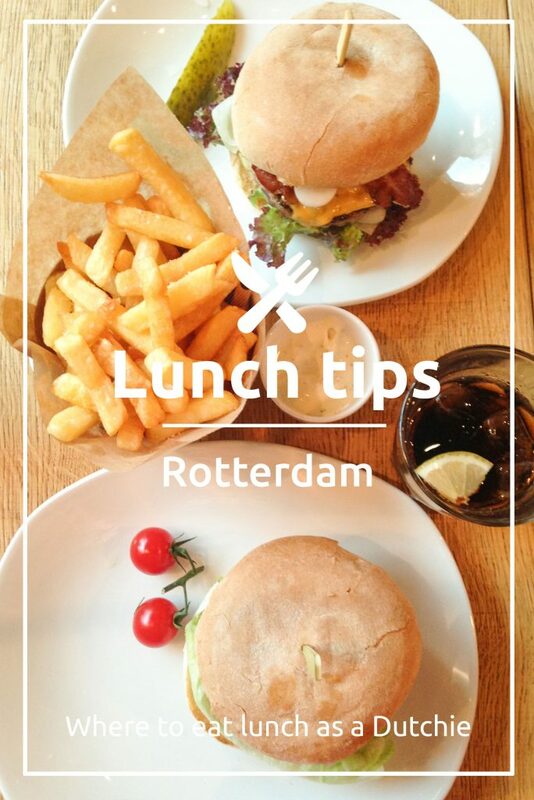 This second article with food hotspots in Rotterdam gives you tips on where you should eat lunch. 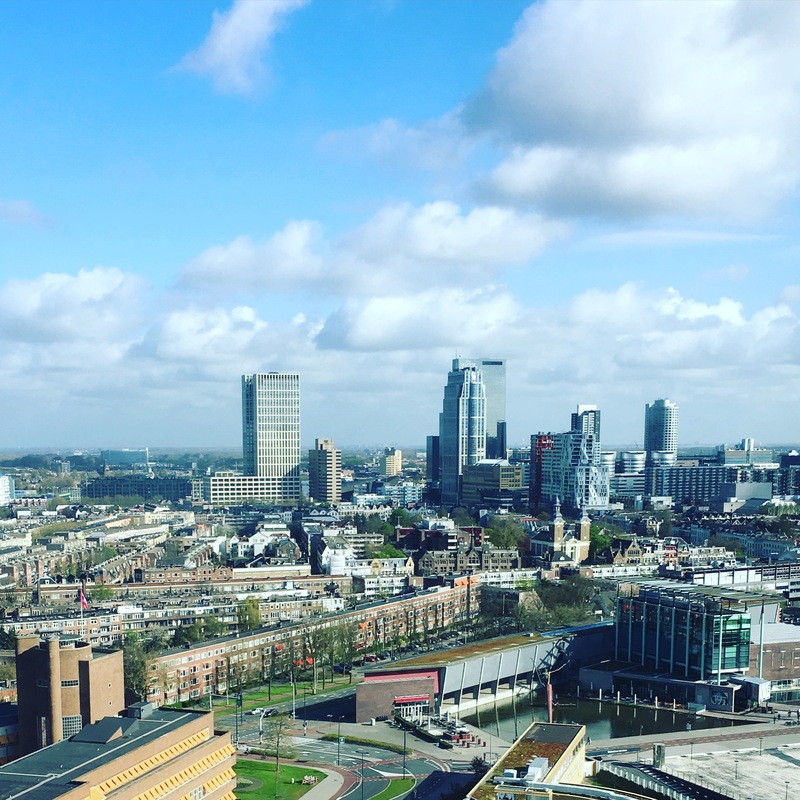 All of these places can be found in the Rotterdam city center area, some of them can be found in other cities like Amsterdam as well. 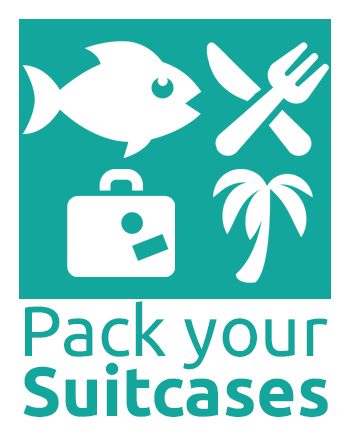 If you want to find out where you should eat breakfast in Rotterdam or Amsterdam, click here. 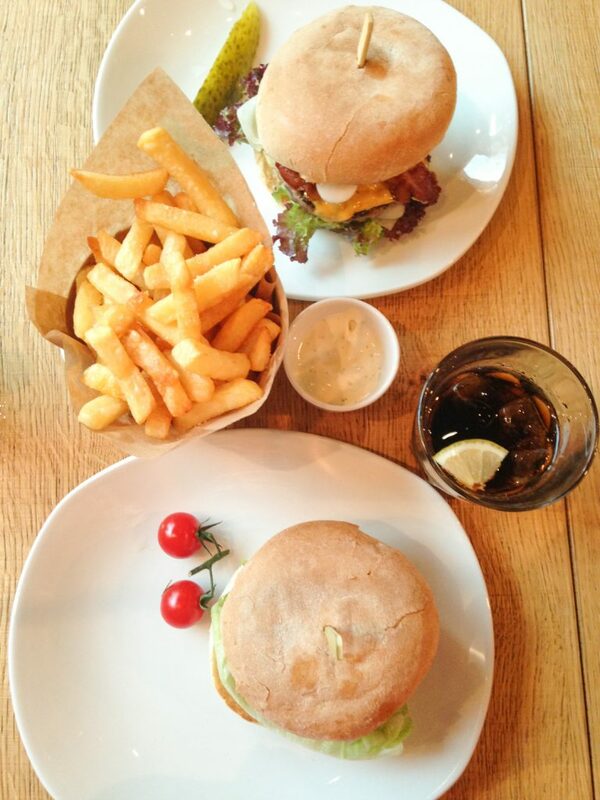 An article with places to have in dinner in Rotterdam will be up on the blog very soon. Bazar is one of our favorites. Their breakfast and dinner are delicious as well (and very affordable), but we prefer to visit them for lunch. Especially when the Dutch weather is getting warmer, going to Bazar is a must! They have a big terrace in one of Rotterdam’s best streets for finding a good restaurant. We love to sit there, enjoy the weather and the great food while watching the people go by. Bazar serves Mediterranean cuisine which is no surprise when you see the décor. If you want to have an afternoon drink with some snacks, you can do that here as well. 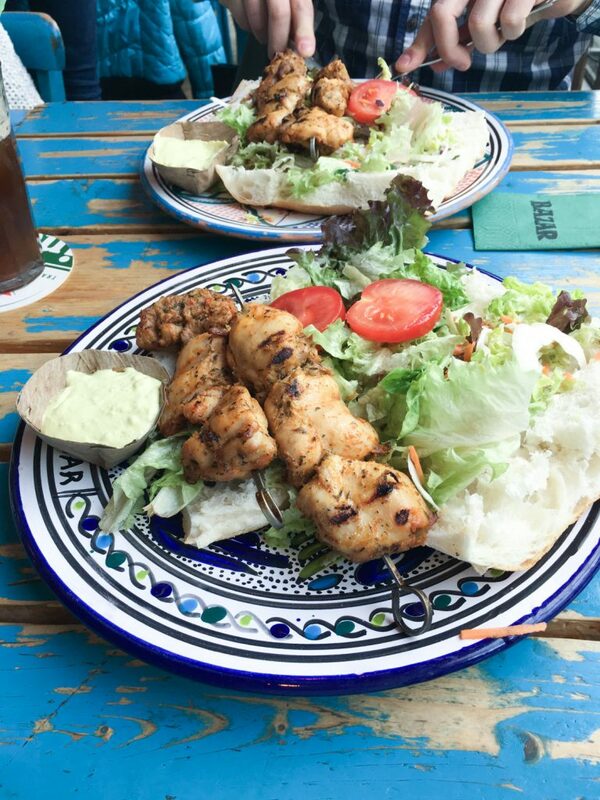 Our favorite here is the Tavuksis Kebab (chicken skewers) which you can order for lunch with bread and for dinner with the most amazing saffron rice. Price: Between 4,90 – 12,90 euro for a lunch dish. Address: they also have a location in Amsterdam. Witte de Withstraat 16, 3012 BP Rotterdam. You can’t visit Rotterdam without having some fries from Bram Ladage. Bram Ladage stands can currently be found throughout the entire county, but were founded in the late 60’s in Rotterdam. Their thick cut fries are made from fresh potatoes and they also serve snacks that go great with your fries (including the famous Dutch kroket). Try your fries ‘special’ with a sauce containing mayonnaise, ketchup and onions, or try it with their ‘Joppiesaus’ which is a sweet onion sauce. Price: starting at 2,50 euro. Adress: stands can be found throughout Rotterdam and other cities. Binnenwegplein 24, 3012 KA Rotterdam. Ellis recently opened a new location in the center of Rotterdam’s shopping area. They have amazing burgers, including chicken, fish and veggie burgers. Since the restaurants isn’t that big, it can be at capacity quickly. Our tip: go into the restaurant to make a reservation before you go shopping. That way you’ll be assured of a table when you need a well-deserved shopping break. Address: Coolsingel 123, 3012 AG Rotterdam. Located near the Markthal on the Meent, Guliano has been a lunch staple for years. This Italian restaurant is known in the entire city for their cuisine that combines flavors from Italy with the Italian flavors found in Brooklyn, New York. The service is outstanding as well and don’t forget to try their wine recommendation with your sandwich. Our favorites: the Bistecca, Ed’s pastrami and the Superiore sandwich. Address: Meent 31A, 3011 JC Rotterdam. 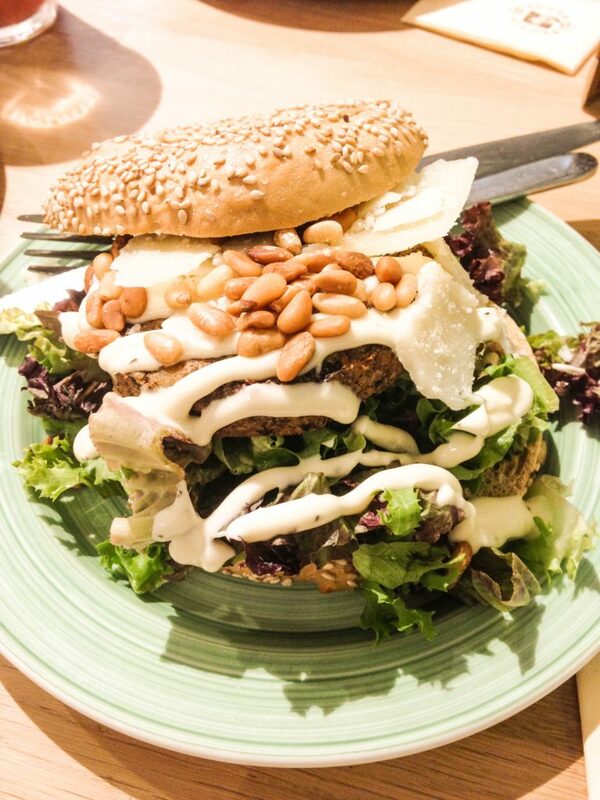 Bagels and beans is a great option for breakfast but our favorite time to visit them is for lunch. They have an amazing assortment of bagels with delicious toppings. 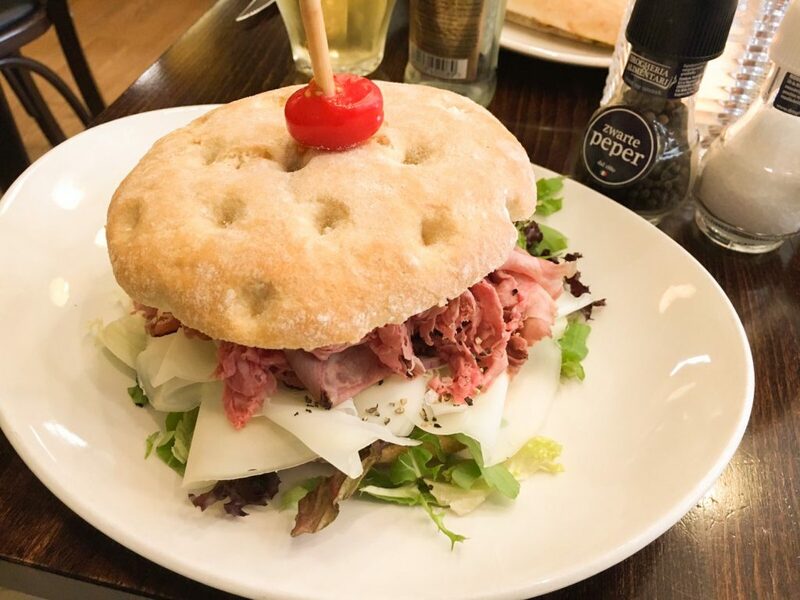 Our favorites are the carpaccio bagel (thinly sliced Italian style beef), the smoked chicken and avocado bagel and the ‘paddoburger’ bagel (a vegetarian mushroom based burger dressed with truffle mayonnaise). They also have gluten free bagels! This is also a great place to have a cup of coffee, tea or a fresh juice with a piece of cake! Address: can be found in every big city. Schouwburgplein 80, 3012 CL Rotterdam.